The chance to see the birds of Patagonia was a key reason that we embarked on our trip to southern Chile and Argentina. 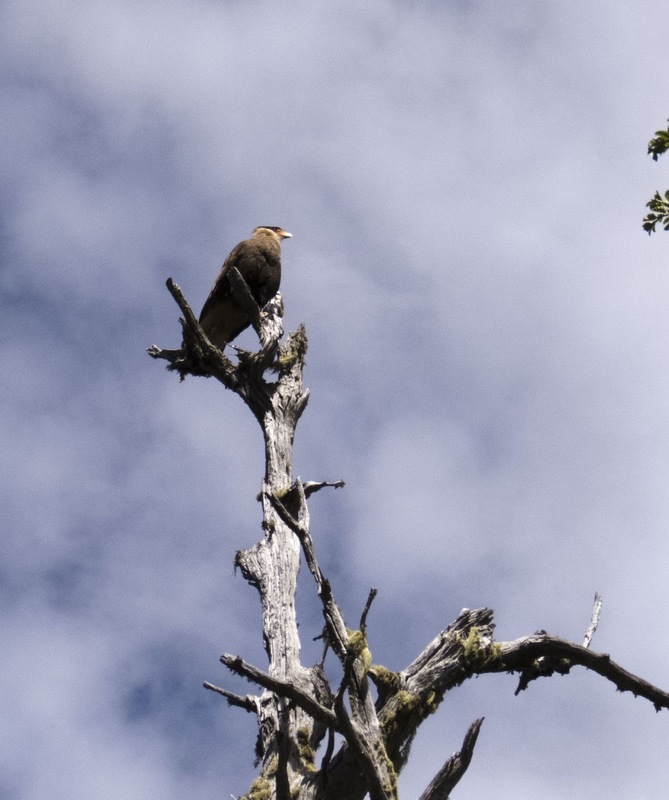 Read on to find out where to go birding in Patagonia and the avian species you can expect to find along the way. Bariloche is a great place to seek out Patagonian birds with many species flocking to Argentina's lake district. 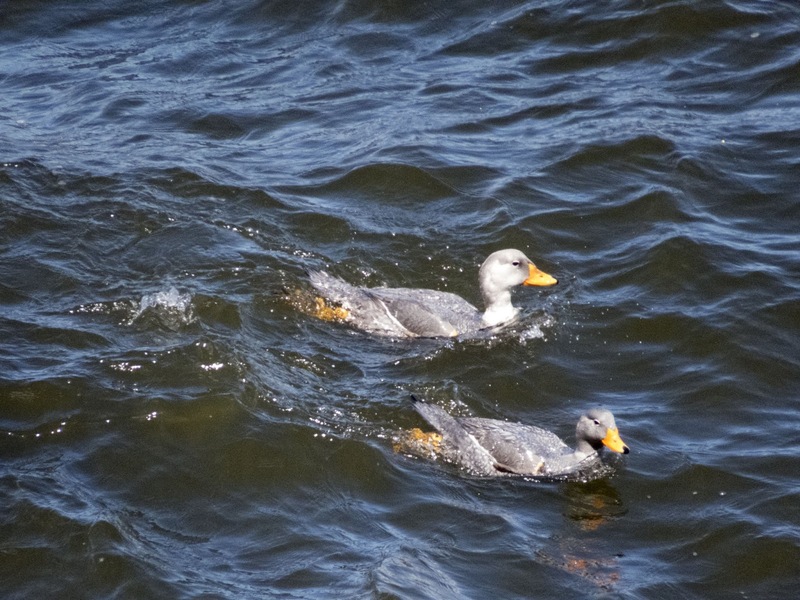 We spotted plenty of ashy-headed geese and southern lapwing on Lago Nahuel Huapi, the surreal blue lake in Bariloche. 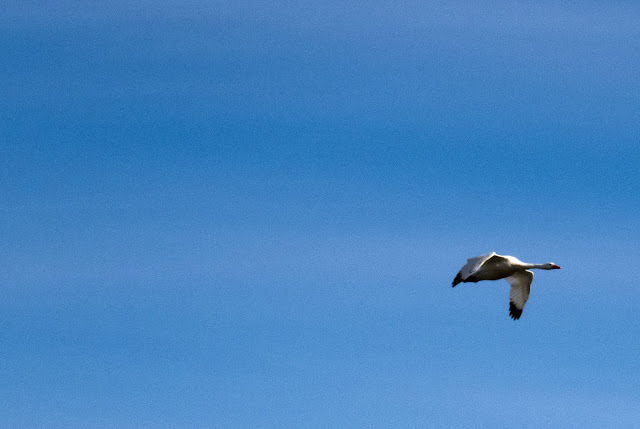 We also saw more common birds including seagulls galore. 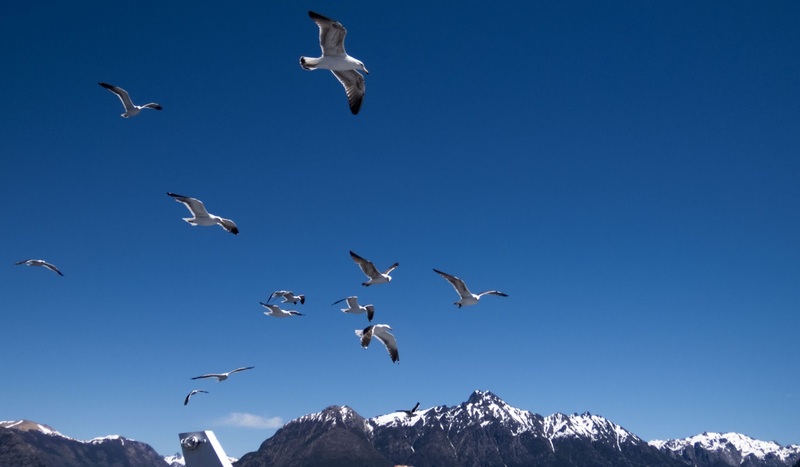 The gulls accompanied our Cau Cau boat cruise on the lake in Bariloche. Circuito Chico is an easy half day scenic drive in Bariloche. 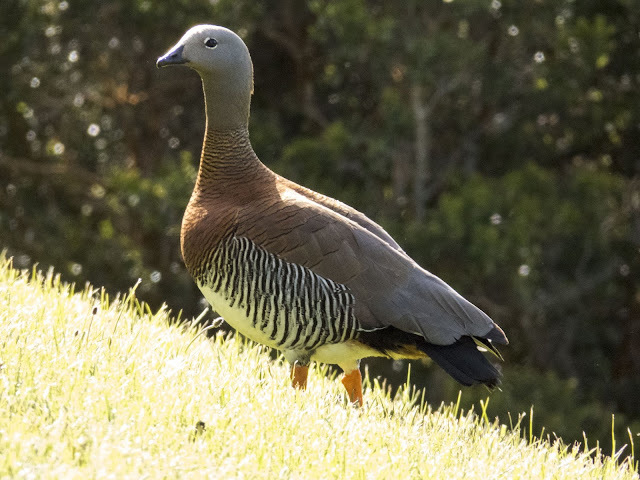 In addition to amazing views of the lake district of Argentina, we spotted plenty of birds (including more ashy-headed geese and southern lapwings with chicks) during our visit in November. 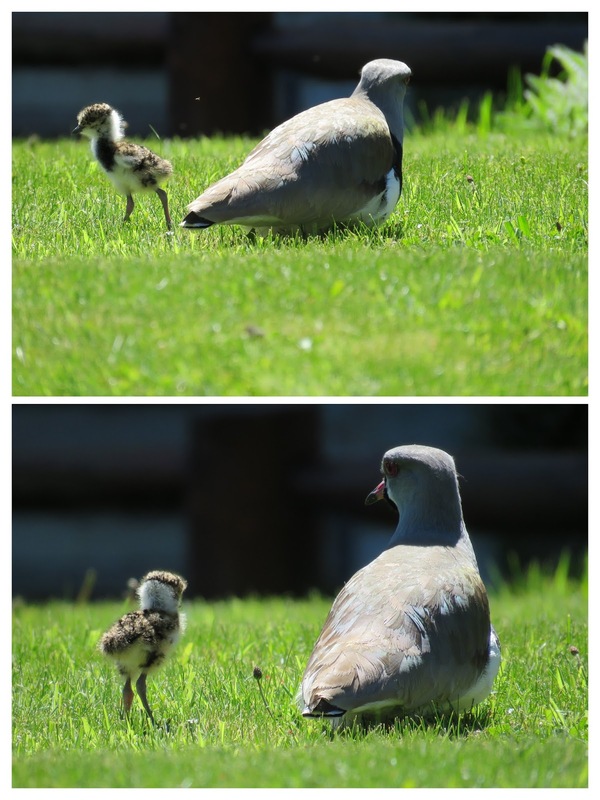 Spring had definitely sprung in the Southern Hemisphere! Ride the vertigo inducing Teleférico Cerro Otto (cable car) to the summit for sweeping views over Bariloche. We found that birds of prey like the crested caracara seemed to gravitate to Cerro Otto. 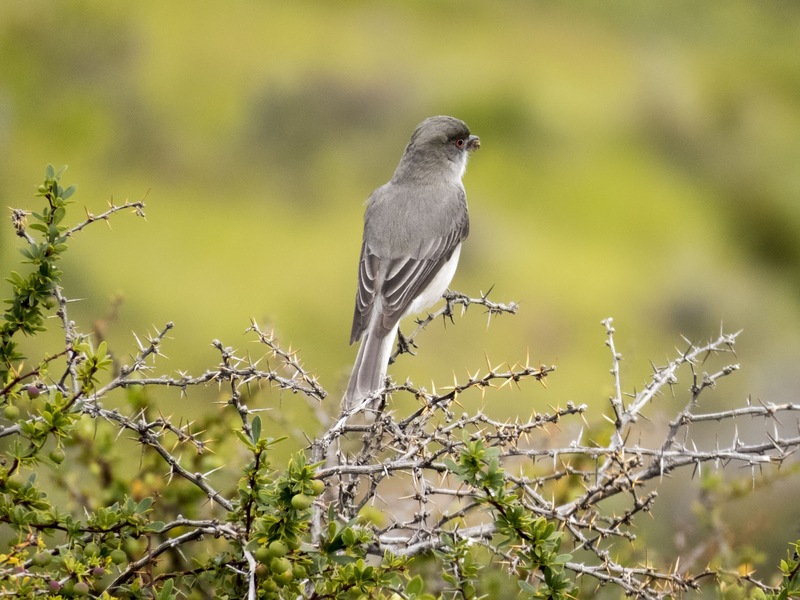 We also spotted smaller birds of Patagonia like the buff-winged cinclodes at the top of Cerro Otto. 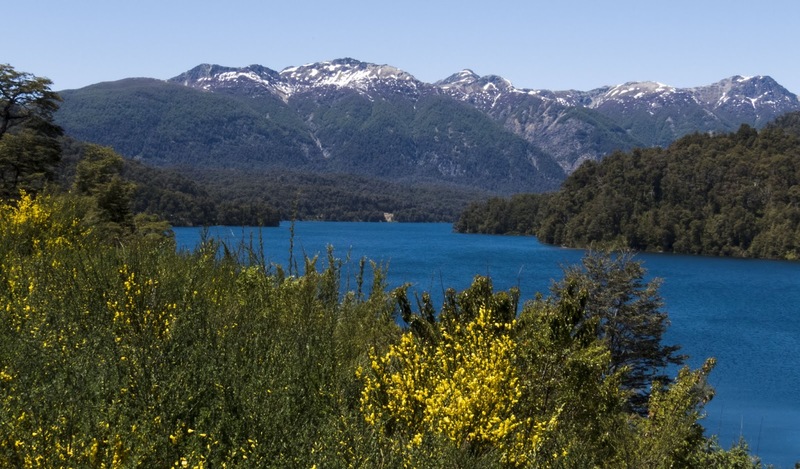 The Seven Lakes Drive is another scenic day trip that you can do from Bariloche Argentina. 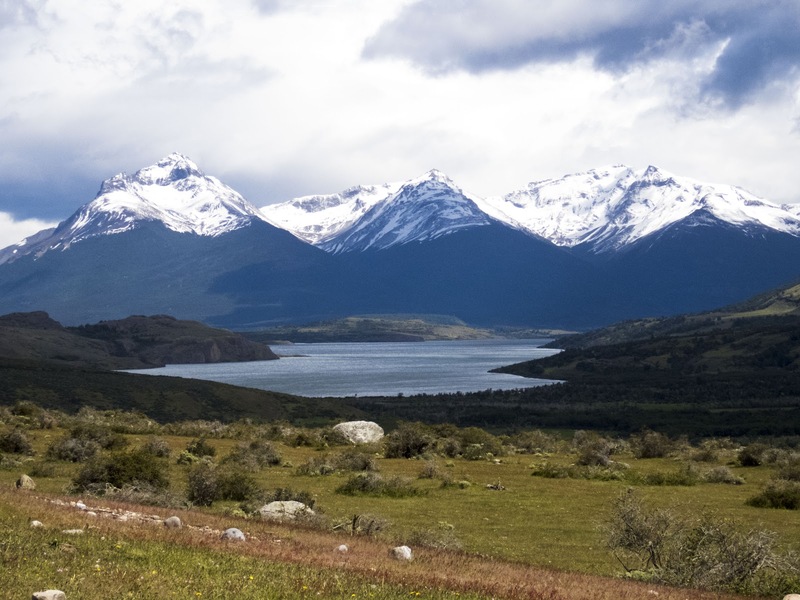 The traditional reason to do this drive is to marvel at the scenery. 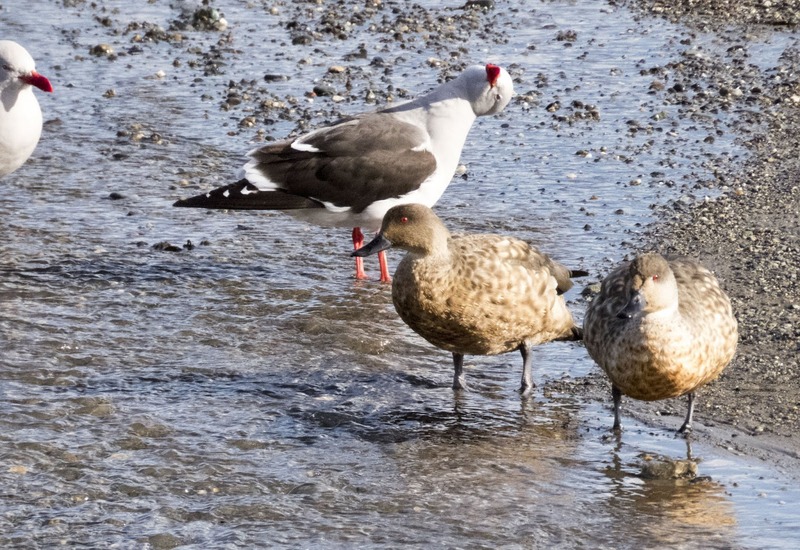 However, the road trip offers the added bonus of plenty of opportunities to see the birds of Patagonia. We spotted chiloe wigeon ducks and our ubiquitous friend, the ashy-headed goose. 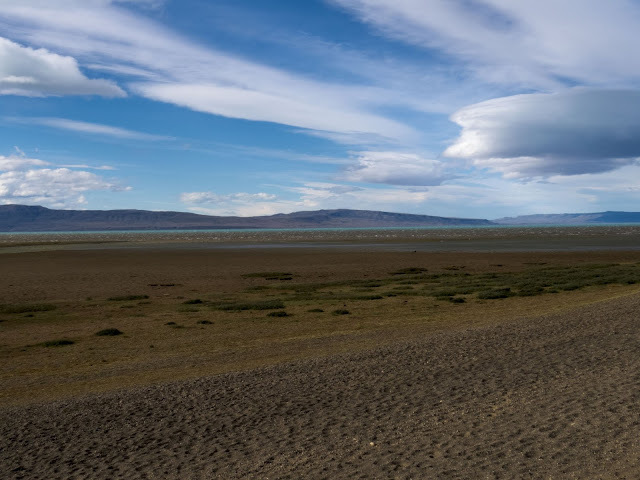 Heading further south, we landed in raw, windswept El Calafate Argentina, home of the Perito Moreno Glacier. El Calafate is home to the amazing Laguna Nimez Nature Reserve. 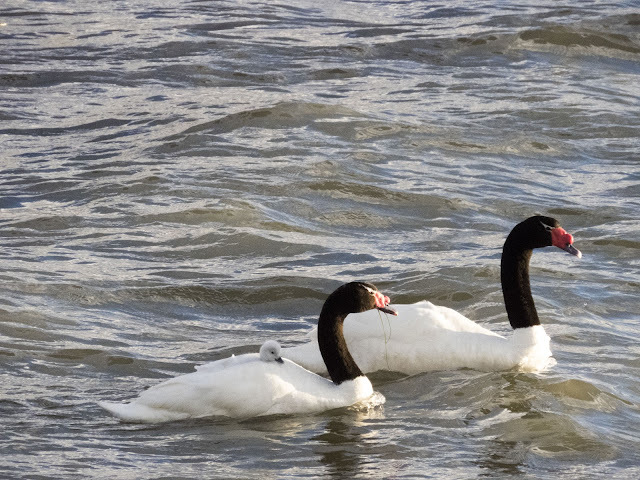 Dress warmly and in layers when you visit because the howling wind is biting. 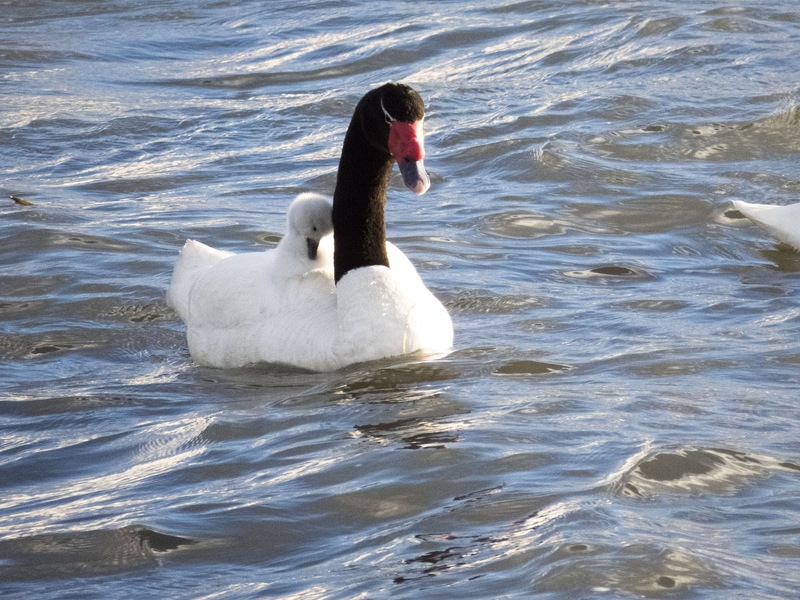 Braving the elements was totally worth it to see all the awesome birds of Patagonia that call the lake home. 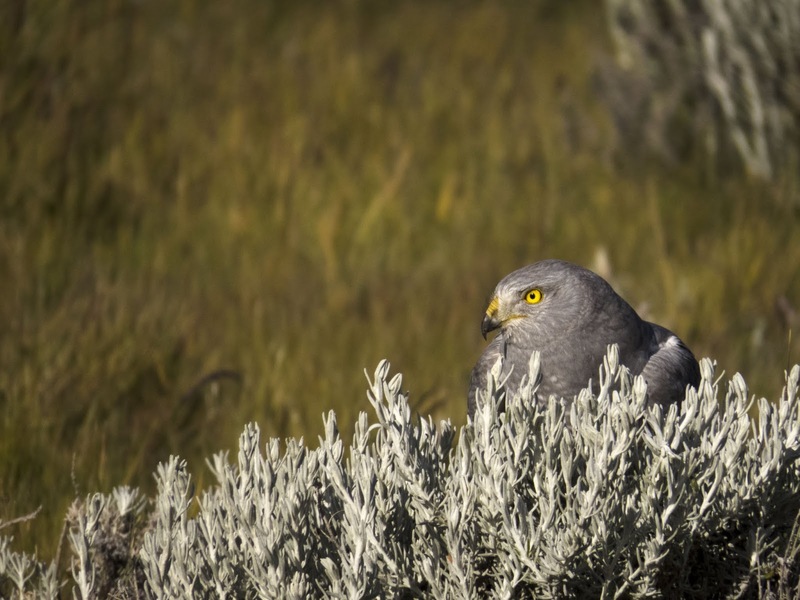 We spotted cinerous harriers and other birds of prey almost suspended in mid-air due to the strong wind as they scouted their next prey. 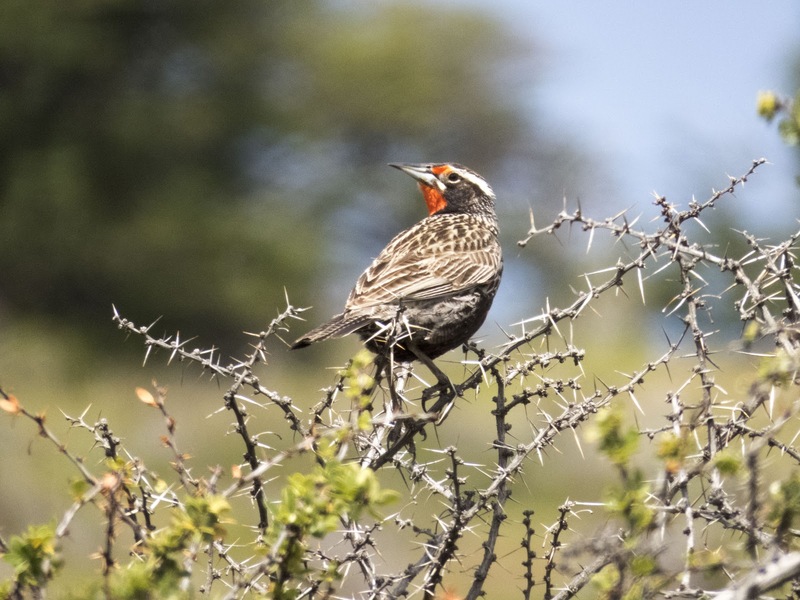 I love, love, love this spectacled tyrant. 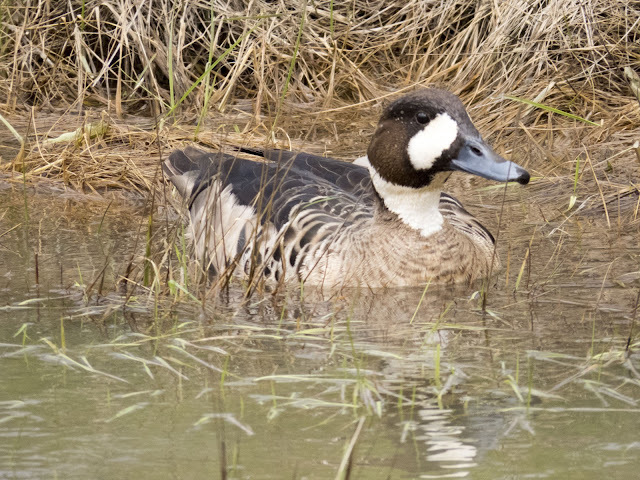 Just look at that eye! Upland geese were prevalent visitors at Laguna Nimez Nature Reserve. Laguna Nimez Nature Reserve in El Calafate is also home to coscoroba swans. 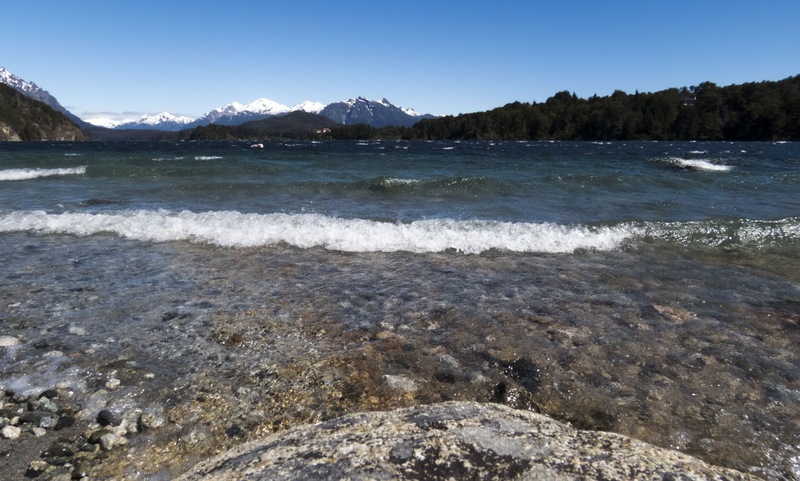 Just beyond the boundaries of the wetlands part at Laguna Nimez you'll find the shores of enormous Lago Argentino. 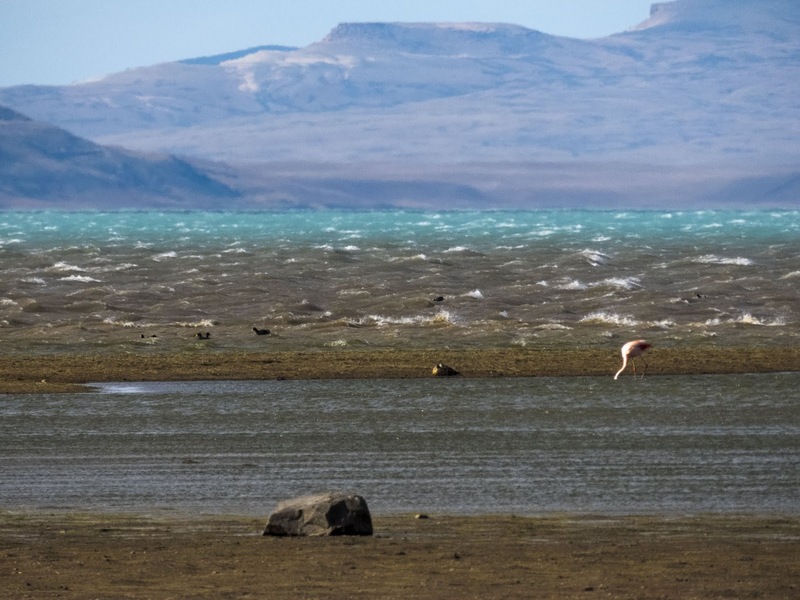 Look carefully, you may spot Chilean flamingos against the backdrop of the glacial blue lake like we did. 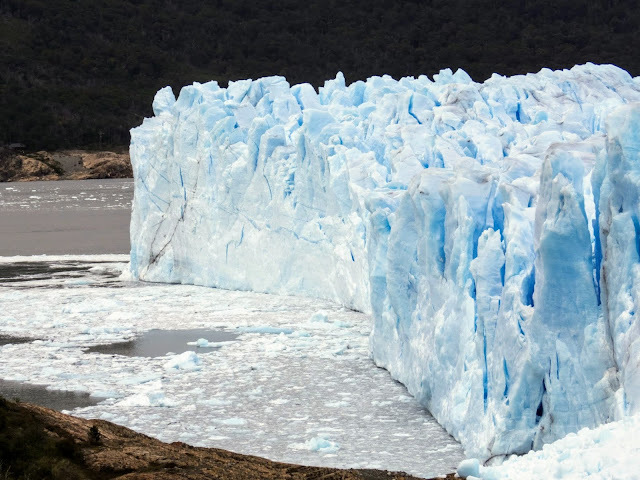 The main attraction near El Calafate is Perito Moreno Glacier. The boardwalks and forests around the glacier are also a good place to go birding. We spotted a Patagonian sierra finch or a 'yellow fatty' as I affectionately called them before I could get to a computer and my birding books to make the identification. 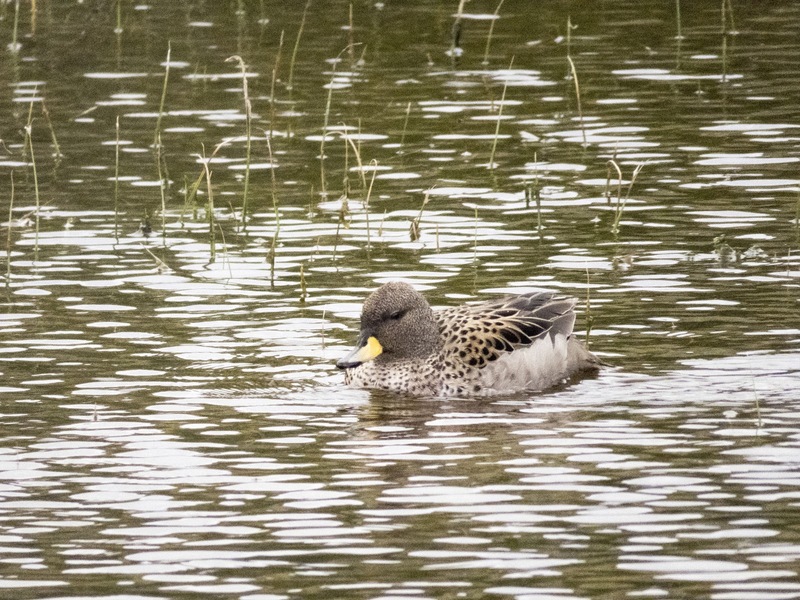 Venturing even further south and across the border into Chile, we arrived in Puerto Natales, another great home base for seeing the birds of Patagonia. 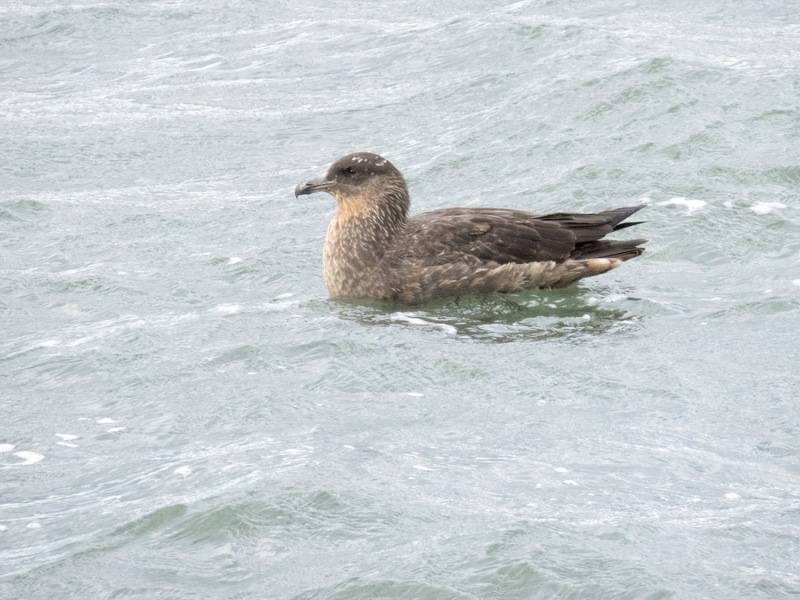 Waves lapped up to shore on Golfo Almte Montt as birds like Chilean skua and black-necked swans (including some with chicks!) bobbed up and down in the rough waters. 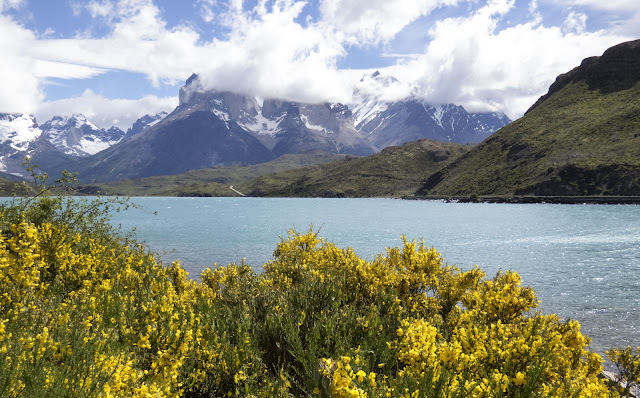 Chile's Torres del Paine National Park features some of the most amazing views in the world and is also a great spot to go birding in Patagonia. 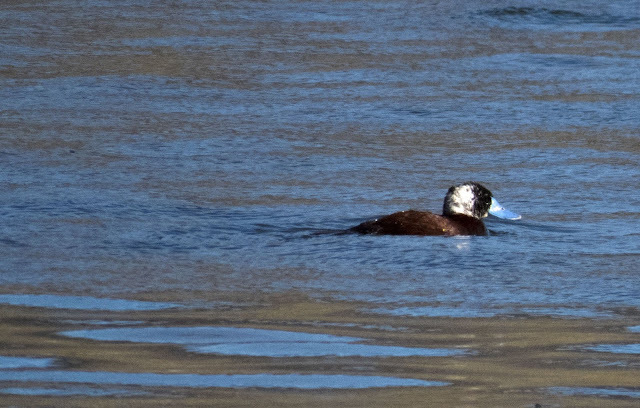 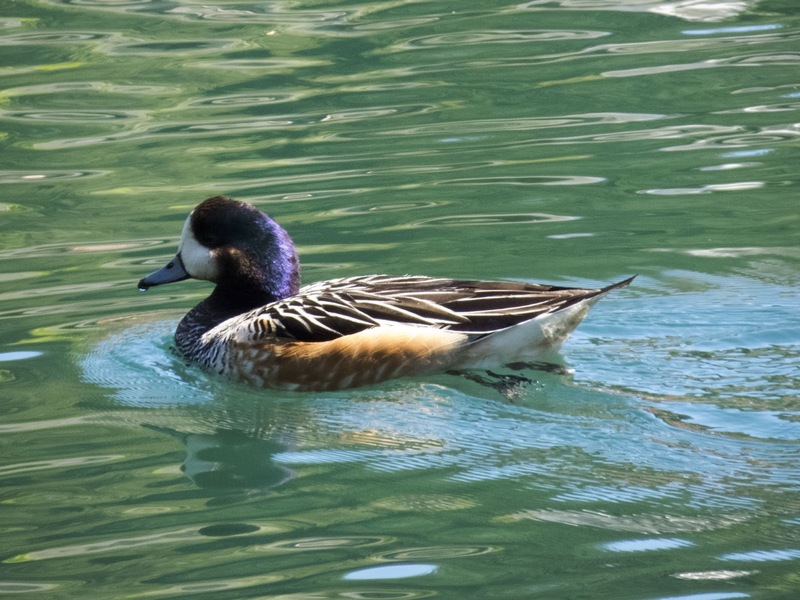 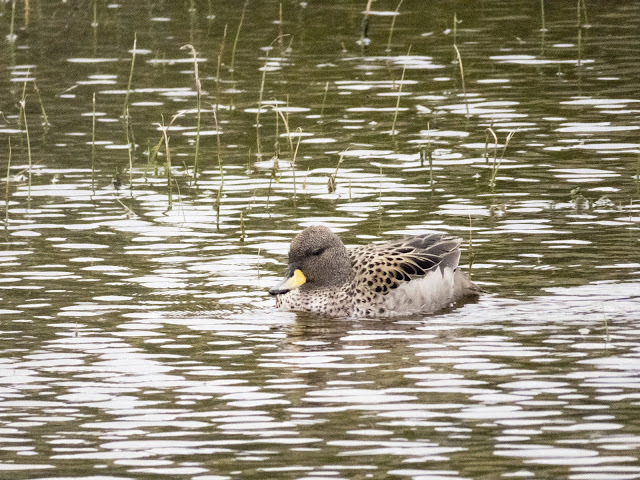 On our day trip to Torres del Paine National Park from Puerto Natales, we spotted ducks like chiloe wigeons, spectacled ducks, and spectacled teals. 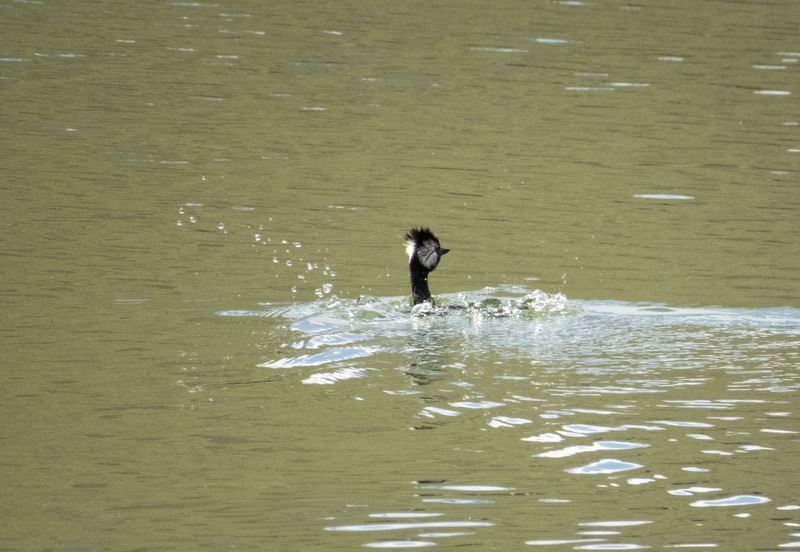 White-tufted grebes scooted around the water and dove at regular intervals. 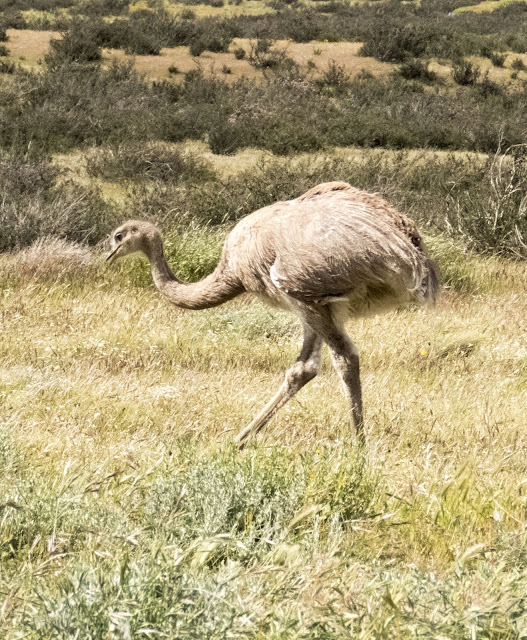 The coolest Patagonian bird that we saw in Torres del Paine National Park had to be the rhea, a large flightless bird related to the ostrich and emu. We spotted this rhea at the side of the road on the way out of the park but couldn't stop in time. 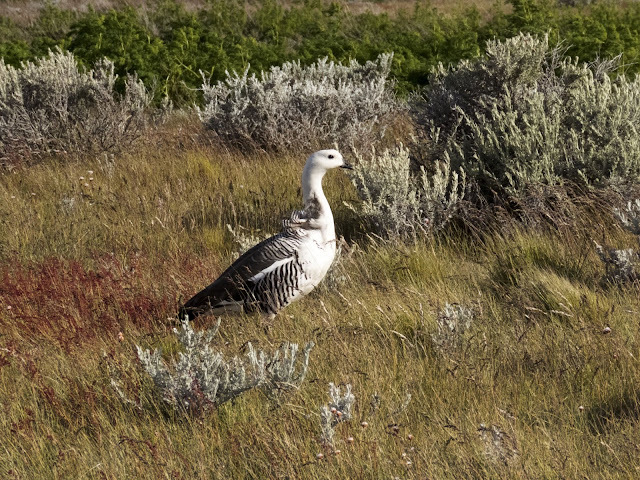 We made a U-turn at the first possible moment and drove back a good mile to see this awesome bird grazing at the side of the road. Lago Sofia is another easy Patagonian day trip from Puerto Natales. 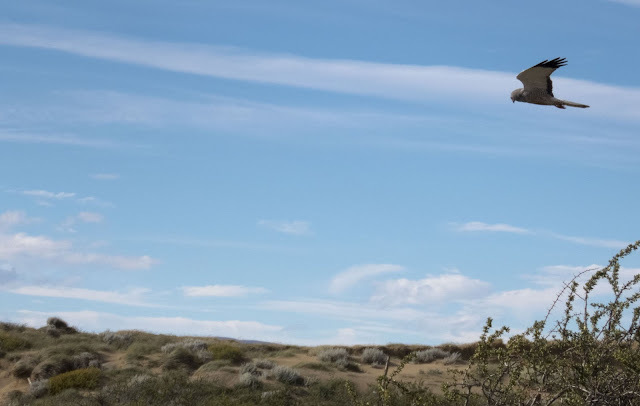 We bumped along a dirt road for about 15 minutes and then parked our car at the side of the road. 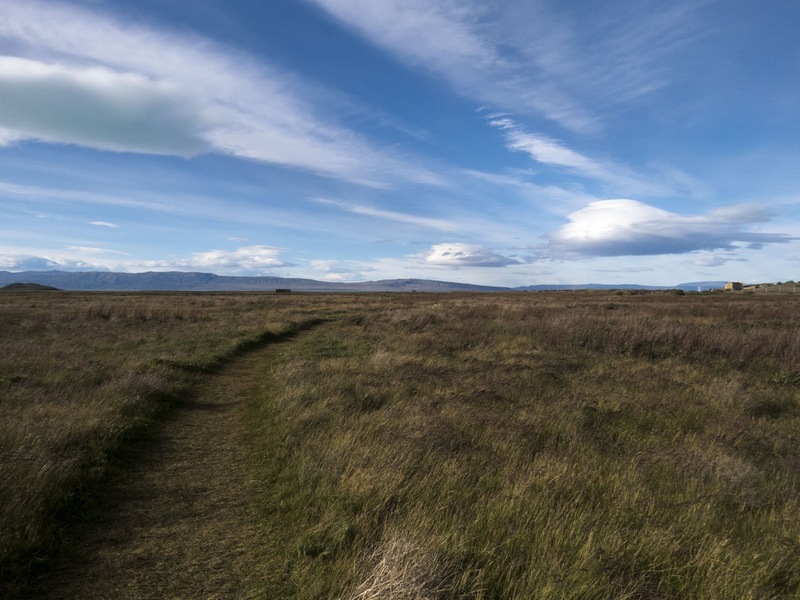 A rough trail leads up and to the left as you are facing the lake. We spotted some awesome birds of Patagonia at Lago Sofia including a long-tailed meadowlark and a fire-eyed diucon. The ultimate reason to visit Lago Sofia, however, is the chance to see Andean condors. 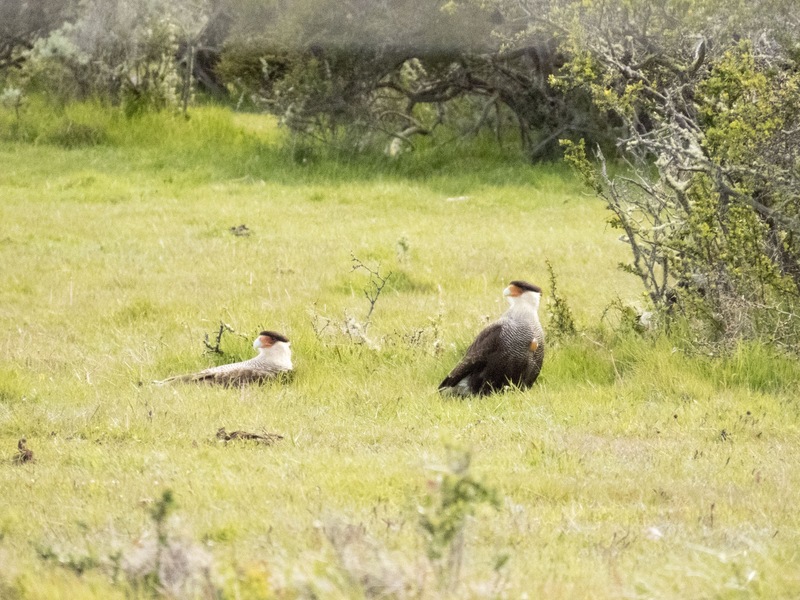 It's possible to take an organized half-day tour to see the condors at Lago Sofia but they tend to be pretty expensive and less flexible than driving yourself. We opted for the self-drive. On our hike at Lago Sofia, we saw Andean condors soaring; lifted by the wind. Every time the wind kicked up, more birds would take flight. Our hike ended in front of a fenced-off rocky hill. 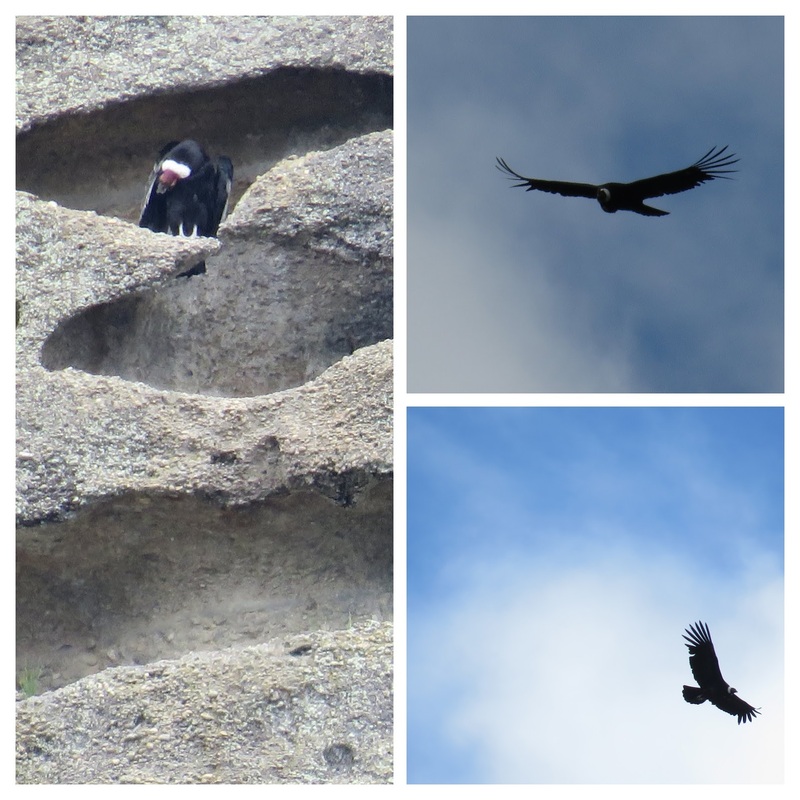 Using the 65x zoom lens on my Canon SX60, I was able to see the Andean condors perched on the nooks and crannies in the rocks. Such an amazing sight to behold! Puerto Natales in Chile is also famous for the Mylodon Cave (Cueva del Milodón Natural Monument). 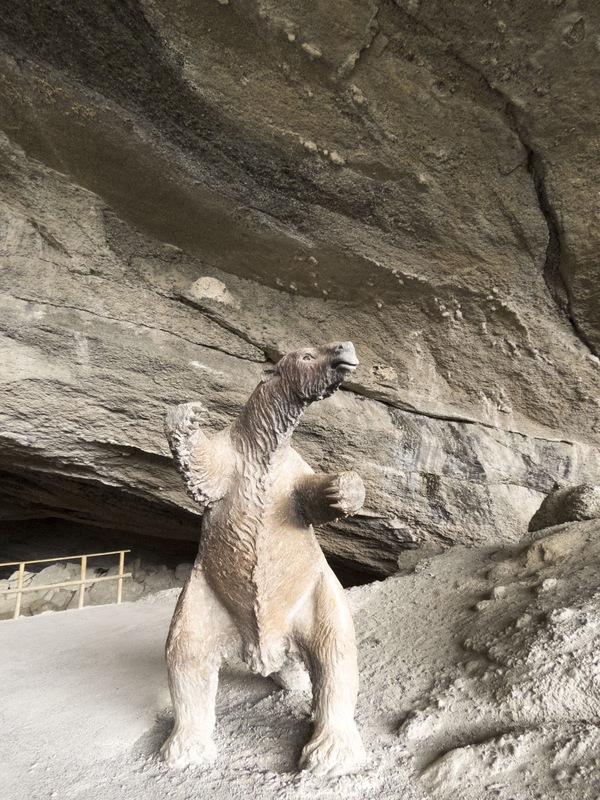 The Mylodon cave is famous thanks to the 1865 discovery of a piece of well-preserved skin that turned out to be a remnant from the mylodons that once roamed the area but went extinct over 10,000 years ago. 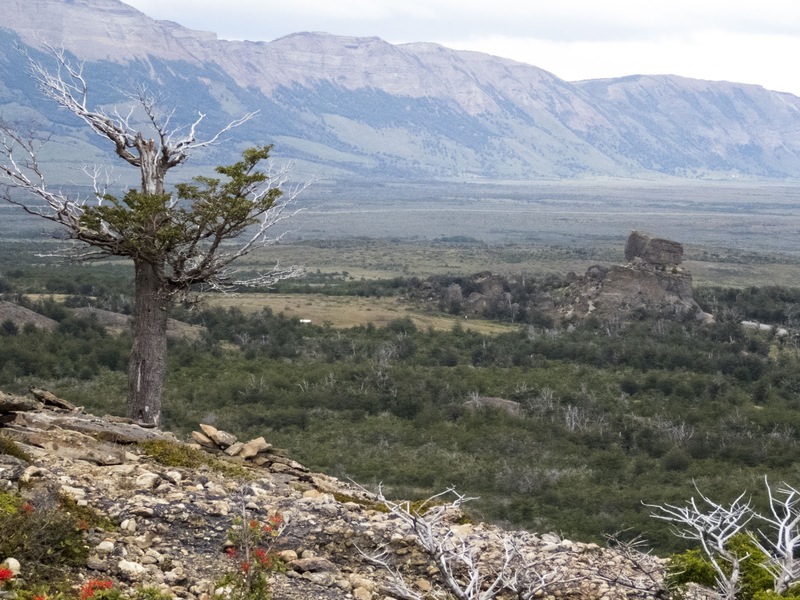 Hiking the trail up and above the Mylodon cave, you'll get sweeping views of the valley below and may see some Andean condors soaring on the wind. We spotted more Patagonian sierra finches at the cave. 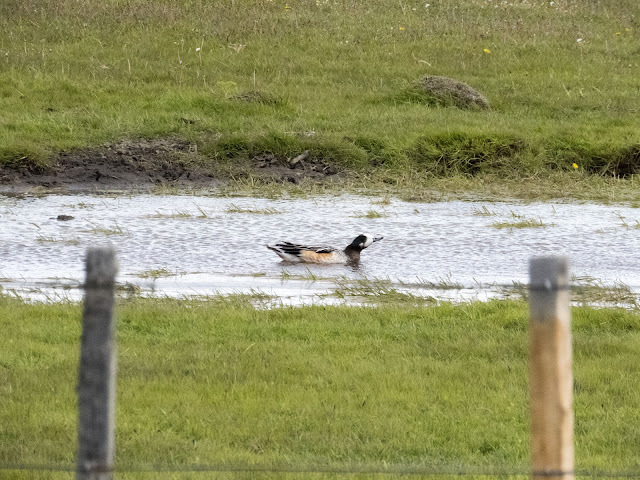 On the gravel road from Puerto Natales to the Mylodon Cave, you might spot crested caracaras and chiloe wigeons by small ponds on the farms at the side of the road. 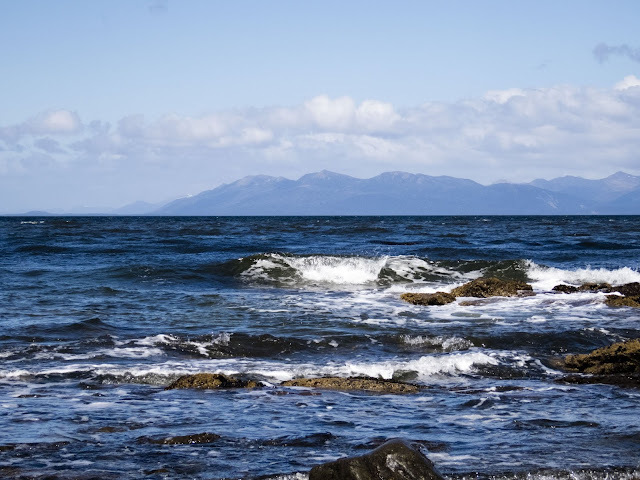 I've been fascinated by the Strait of Magellan for years. 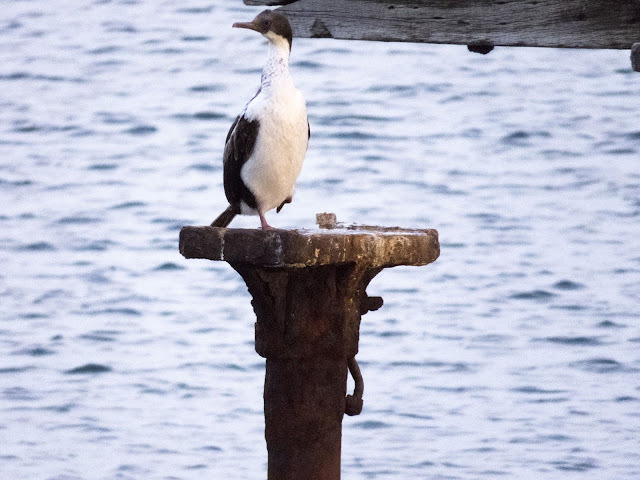 I love stories of explorers blazing a trail and sailing off into the unknown. 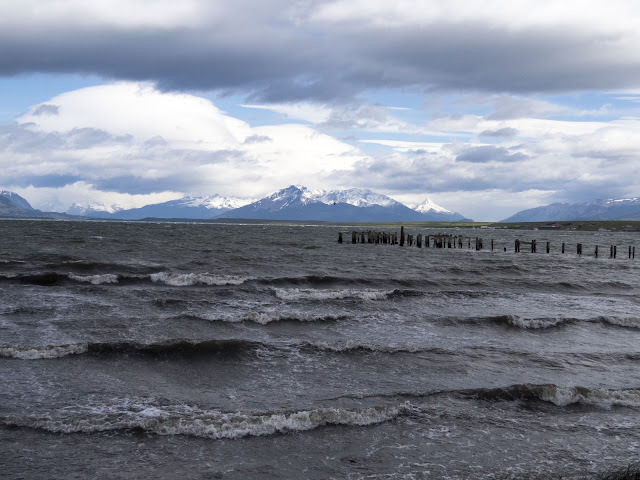 So, when we had the chance to visit Patagonia, we knew we had to go far enough south to see the Strait of Magellan. With this in mind we drove from Puerto Natales to Punta Arenas where the waters of the Strait of Magellan lap right up to the city. 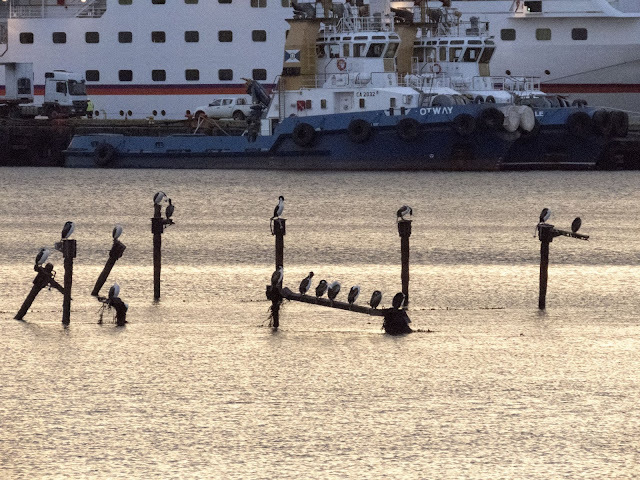 Punta Arenas is a great places to see the birds of Patagonia. 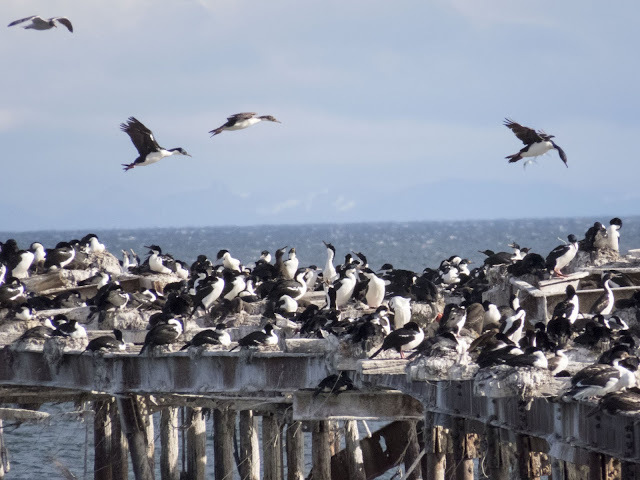 In fact, the old crumbling pier on the Strait of Magellan in the middle of the city is crowded with cormorants and other sea birds. 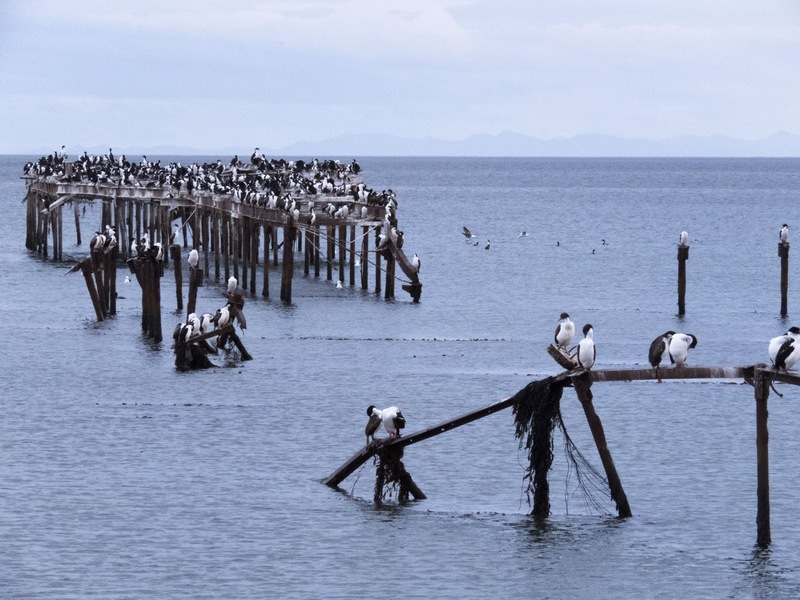 I wonder if all those birds caused the pier to collapse in the first place. What do you think? 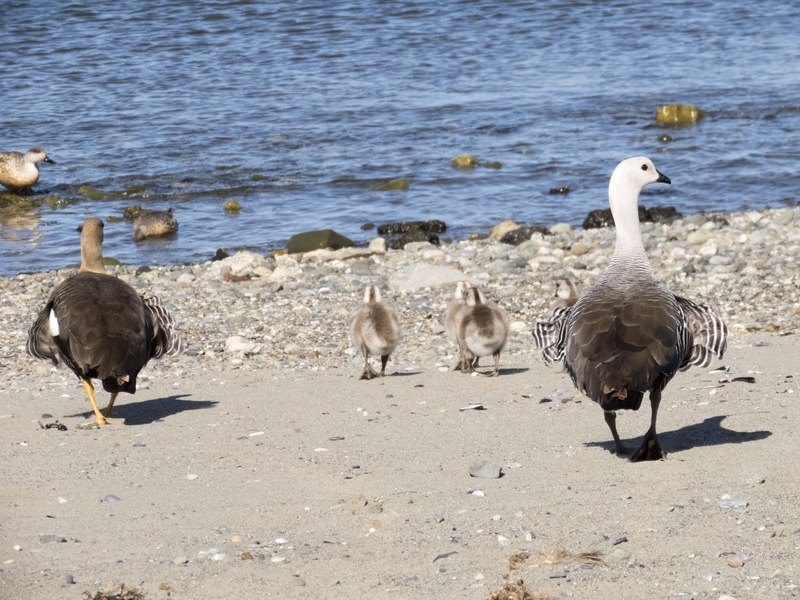 Walking along the shores of the Strait of Magellan in Punta Arenas, we also saw more upland geese, crested ducks, and various seabirds foraging along the shore. 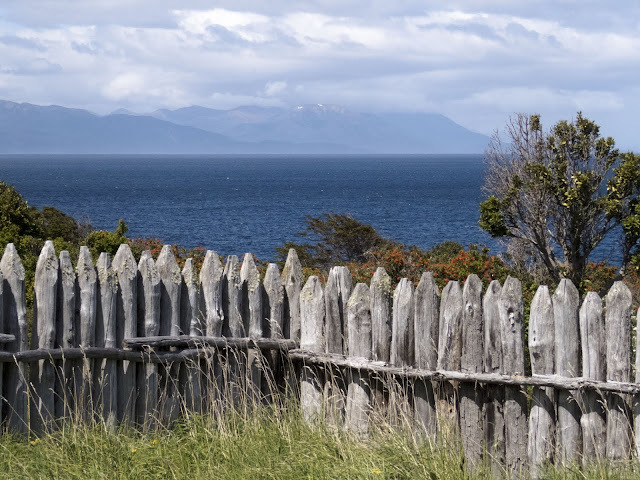 Just outside Punta Arenas, you can visit Parque del Estrecho de Magallanes and take a walk around Fuerte Bulnes, the original settlement in the area. There you'll find beautiful views of the Strait of Magellan and plenty of birds. 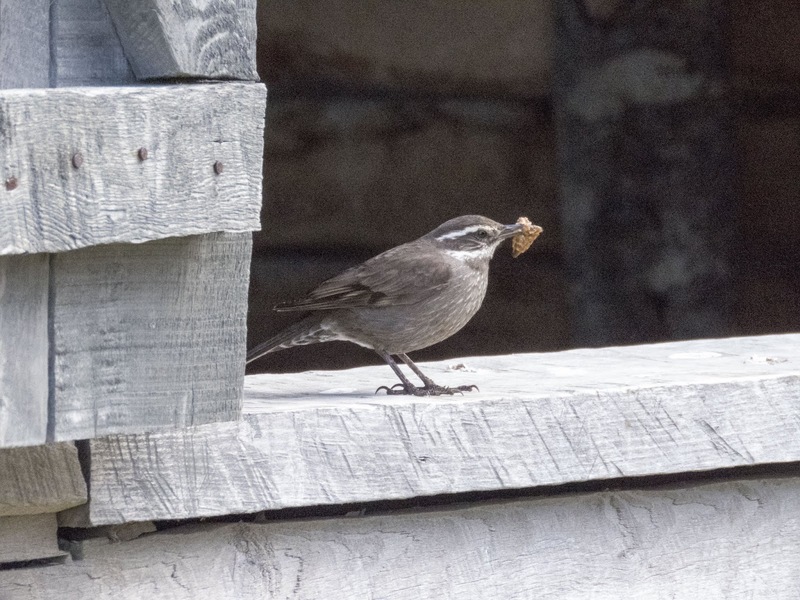 We saw a super-intelligent seaside cinclodes bringing food back to the nest inside one of the historic wooden buildings. 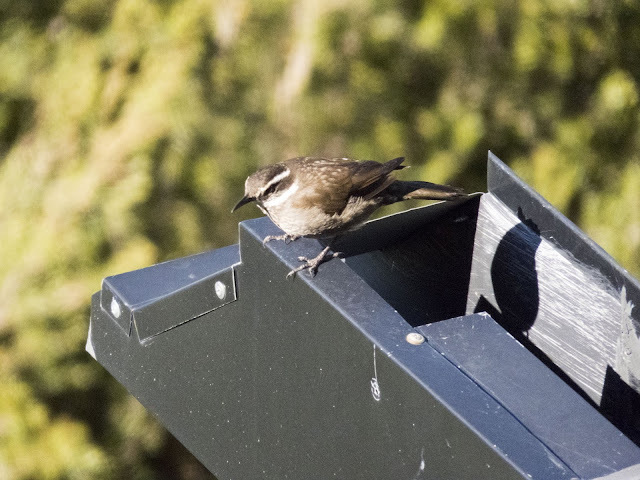 It saw us and walked around the other side of the building instead of heading straight for the nest in case we represented danger. Flightless steamer-ducks and other birds splashed in the Strait of Magellan near Fuerte Bulnes. 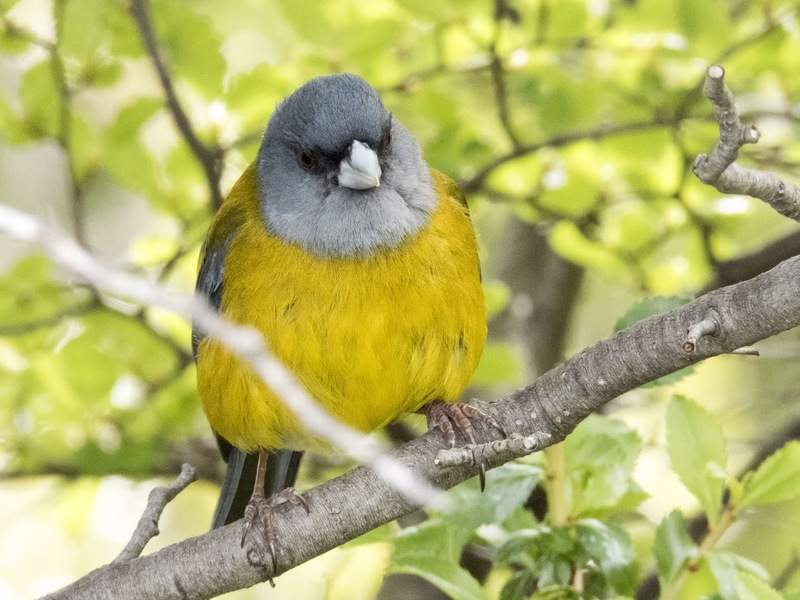 For more details on where to see birds in Patagonia, check out this handy map. 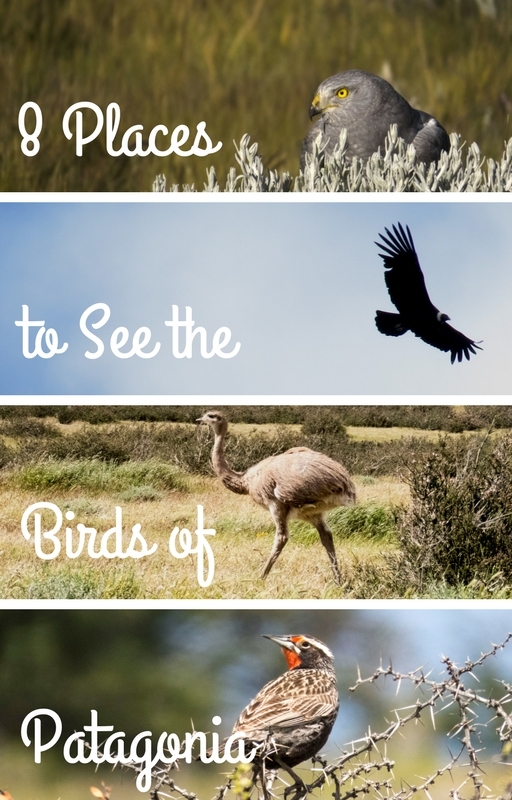 As you can see, there are plenty of opportunities to see the birds of Patagonia on a visit to Argentina and Chile. What are you favorite places for birdwatching in South America? 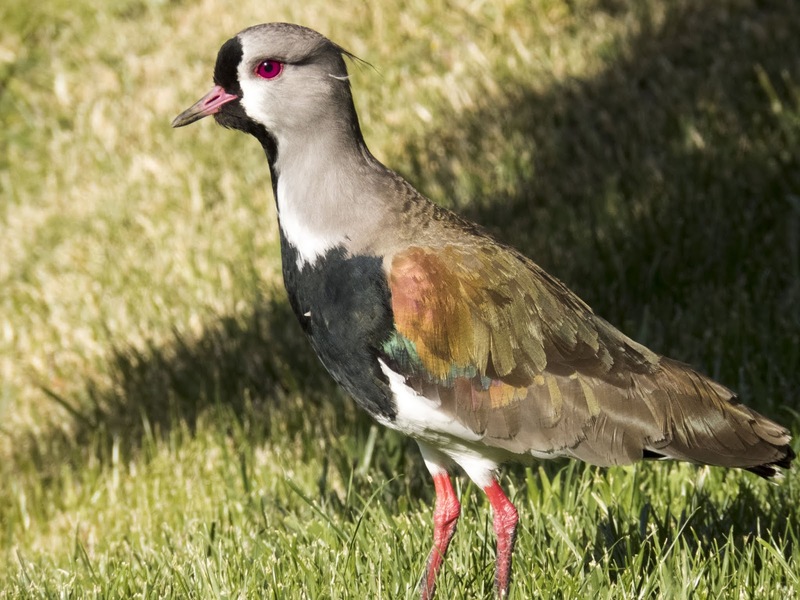 Leave a comment and tell me about the coolest birds you've encountered on your travels. 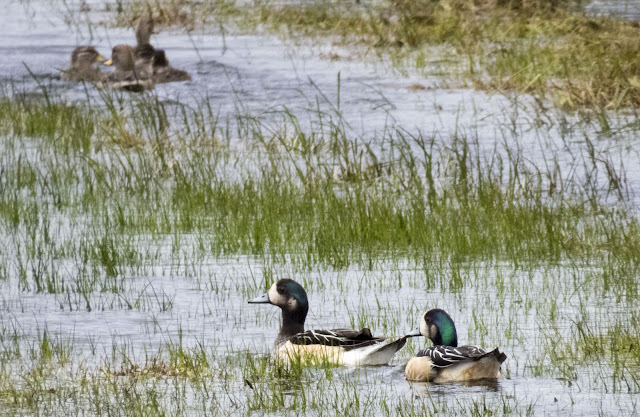 Find out where to go birding in Patagonia. Seek out the birds of Patagonia in eight great places in Chile and Argentina.